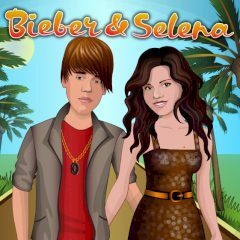 Bieber and Selena are always together – at the beach or at some official event, in the restaurant – you will always see this lovely couple holding hands! They both have a perfect sense of style, but you can help them add something new in the Dress up mode! Take a dare and dress them upexactly as you see it in the original picture in the Compare mode!